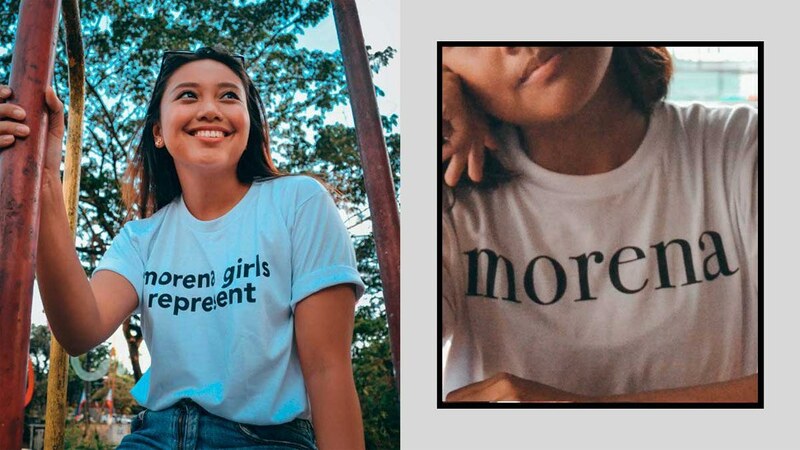 This is the Filipina pride clothing label you've been waiting for! 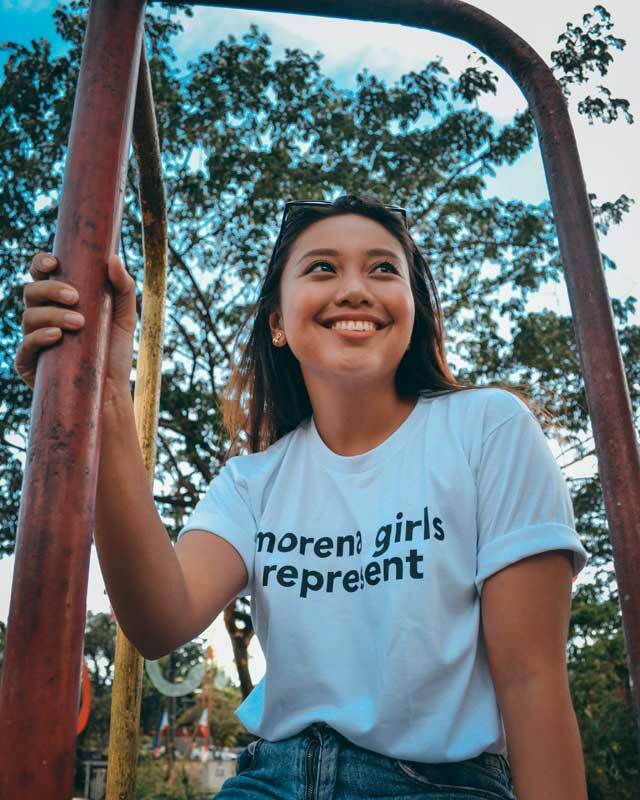 Morena the Label is a body- and skin color-positive clothing label founded by YouTuber and writer Ayn Bernos. 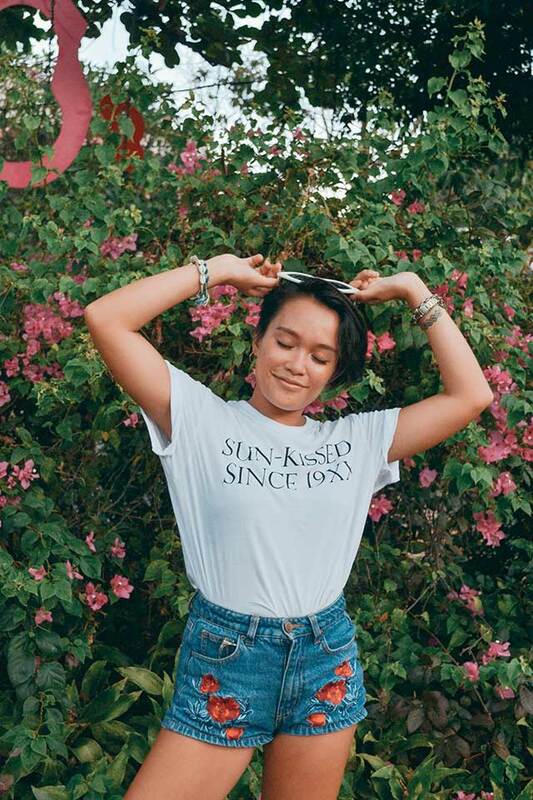 The brand offers shirts, caps, hoodies, and sweaters with statements like "I like my tan, tita" and "That melanin though" emblazoned on them. Tell us about how you started Morena the Label. "I've always been passionate about raising awareness on colorism and inspiring fellow morenas to celebrate their skin color. Most of my work on YouTube revolves around that, and so when I grew my following enough to sell merch, like other YouTubers do, I thought, 'Why make Ayn Bernos-branded products when my channel is really bigger than myself?'" "I wanted to create tees that make bold statements, but are equally wearable and easy to style. Most importantly, I wanted to make products that any morena can proudly wear, so we can all take ownership of our traditionally 'shameful' labels." Can you tell us a bit more on why you specifically chose minimalist designs? "Growing up, I was told that wearing white isn't advisable for morenas because the contrast would emphasize our dark skin. So when I came up with my first collection, I kept it simple by sticking with white shirts with black prints. It's direct to the point and it shows off our dark skin. That wasn't something I was raised to do, but Morena the Label encourages us all to do exactly that." What kind of responses have you gotten from Filipinas? "So many wonderful responses. I'm overwhelmed by all the support Morena the Label has been getting, both locally and internationally. So many conversations have come up in our social media comment sections: Filipinas and even Fil-Ams telling their stories about their experiences growing up, how their titas and older relatives would glorify light skin, how they got bullied over their melanin, etc. Some would even personally message us to thank us for our 'movement'. "It's become much more than just a clothing brand at this point. It's a conversation starter, and it keeps the discussion about skin color alive, especially in a society that hasn't been as friendly as it should be to people of darker skintones. 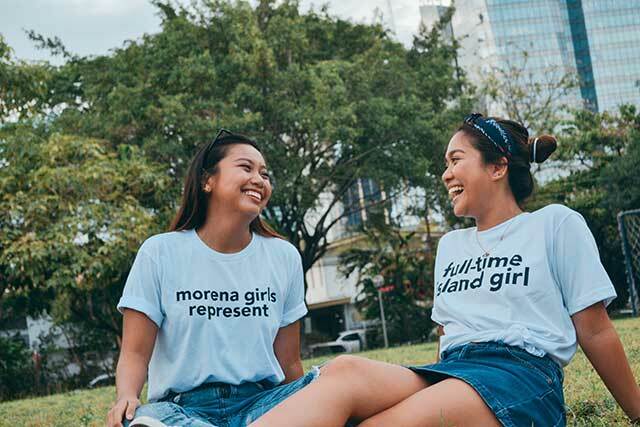 "The shirts have definitely helped morenas become more vocal about their skin color pride without having to say much." Do you plan to expand in the future? "Yes, for sure! Right now I'm a one-woman team, but if things continue to go well, I'm hoping to introduce more [designs and products] to our customers. We've just released a rainy day collection with hoodies, sweatshirts, and caps, but I'd really love to see more variety soon. Fingers crossed we make it all happen!" 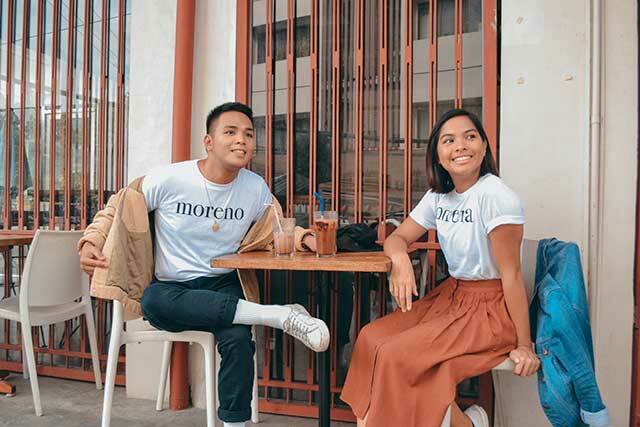 "We just launched our international shop, and we're very excited to introduce Morena the Label to our fellow Pinoys abroad. Based on the conversations we've had since the start of Morena, we realized that dark-skinned Filipinos everywhere (more or less) experience the same type of discrimination, just in different forms. We hope to continue telling those stories with our products and help more morenos and morenas stand up for themselves, while fully embracing their sun-kissed glow." Morena the Label is available on www.shirt.ly/morenathelabel for PH orders, and www.morenathelabel.teemill.com for international orders.